Gum resin from ancient plant drastically reduces painful, swollen joints in osteoarthritis and rheumatoid arthritis sufferers. In recent years, the gum resin extracted from the ancient plant, Boswellia Seratta, has gained considerable attention as a potent anti-inflammatory, anti-arthritic agent. 3-0-acetyl-11-keto-beta boswellic acid (AKBA) is the most active compound of Boswellia extract and is a potent inhibitor of 5-lopoxygenase (5-LOX) and MMP-3. 5-LOX is a member of the lipoxy-genase family of enzymes that facilitates undesirable cell division changes. It plays a key role in the biosynthesis of pro-inflammatory compounds (leukotrienes) that mediate attacks on joints, arterial walls and other tissues. The typical modern diet of rich red meat, poultry, eggs and dairy products, increases the production of 5-LOX, worsening inflammation. In addition, matrix metalloproteinase 3 (MMP-3) is an enzyme that breaks down proteins and peptides in the synovial tissues in response to inflammation, and thus causing cartilage destruction in RA and OA. In the extracellular space, MMP-3 triggers microglia to produce pro-inflammatory and cytotoxic molecules which further degrade cartilage matrix and other components of connective tissue in the joints. TRUFLEX significantly hampers 5-LOX & MMP-3 (key enzymes) initiating Osteoarthritis (OA) and Rheumatoid Arthritis (RA). LIFE FACTOR employs a patented enrichment process, selecting the most active AKBA and blending it with the know-how Boswellia seratta non-volatile oil extract. 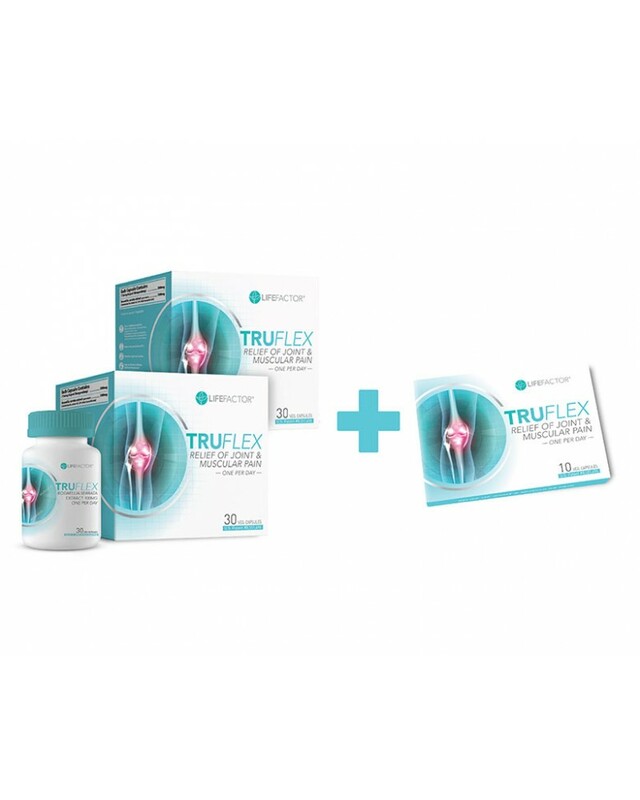 This synergistic composition results in a direct absorption of at least 20% of bioactive AKBA, making TRUFLEX more efficacious for overall joint health than any other existing Boswellia extract available in the market.